In the Viennese Madame Tussauds Museum, you can see the wax figures of many famous and infamous people from the present and the past. The museum is located on the Riesenradplatz of the Prater, Vienna. It is not only a simple exhibition but also an interactive star-studded journey: you can meet the wax figures of the world of the music, films, culture, sports, politics and history. We went to Madame Tussauds, especially to “meet” Elisabeth – Sisi and see the interactive exhibition related to her. However, we had a wonderful journey and a memorable experience while walking through the rooms of the museum. In this article, at first, I will introduce the sculptor Madame Tussaud, whose wax figure welcomes the visitors at the beginning of the exhibition. After that as a researcher of Empress Elisabeth of Austria, I will give you a detailed description of Sisi’s wax figure and tell you why I found it authentic. 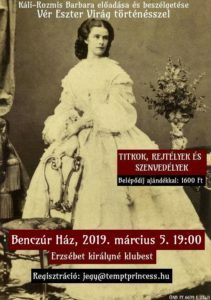 Meanwhile, you will get to know some interesting facts you might not have known about the historical Empress Elisabeth. Marie Tussaud (1761-1850) was an extraordinary woman who experienced several dramatic events of the history. (Tussaud got her surname after her husband, her maiden name was Grosholtz, however, we usually refer to also the young woman as Tussaud.) Marie came from a one-parent family since her father had died before her birth. At the age of six, her mother took up a job as a housekeeper. Her employer, Dr Curtius was not only a physician but also a great wax sculptor. He realised that the little girl could be a talented sculptor too and started teaching her. Marie called Dr Curties “uncle”, who also led her into the world of business. Marie Tussaud left the business and the sculpture work for her son, who was succeeded in turn by his son… and the business was led through generations by the Tussaud family. We arrived at Madame Tussauds Museum mainly to meet the wax figure of Empress Sisi, however, on our wonderful journey from the entrance to the exit we had a great fun and meet several of our favourite characters of movies and history. Such as Empress Maria Theresia, Albert Einstein, Anna Frank, Audrey Hepburn, Julie Andrews, Marlene Dietrich and Nicole Kidman, and, of course, we also met Romy Schneider. Empress Elisabeth’s wax figure and the exhibition based on her life was waiting for us at the end of the Tussauds’ exhibition at a great separated place. The creators of the wax figure of Sisi were inspired by Franz Xaver Winterhalter’s painting of Elisabeth (1865), which is one of the most world famous art-works ever made of the Empress. First, have a look at the wax figure’s face. You must recognize that mascara was not used on her eyelashes, which is very authentic since the historical Empress refused to use any make-up because she liked natural beauty. You can see the thin lips, which, I think, are also quite similar to the real ones. When Elisabeth was talking, she hardly departed her lips because she had some inhibitions regarding her teeth, the condition of which her mother-in-law criticized at first. That was why she developed a deep fear that people might see her yellowish teeth (which were not as bad as it is often depicted and as an ageing woman, also according to the newest researches, she did not have a denture as many say). Besides, she had a soft voice and talk very quietly so people often did not hear what she said. The jewellery: The hairpins in the wax figure’s hair are also similar to the famous diamond pieces of jewellery, which are usually called “diamond stars” also in the Sisi Museum at Hofburg. However, they are actually diamond Edelweiss (even if they are simply referred to as diamond stars). Edelweiss is one of the symbols of Austria, the flower of the Alps, as well as the Queen of the flowers. There is a French Magazine from 20 May 1865 (that is from the time of the Winterhalter-painting mentioned above), the Le Modes Parisiennes, which, in its fashion column, tells about the fact that this time women liked to wear different flower-shape hairpins, such as flowers of the meadows or white lilies. These flowers motifs usually appeared not only as hairpins but also as embroidery on the dresses (as we can see on Elisabeth’s gowns in the paintings and on the replicas). In the hair of Sisi’s wax figure of the Madame Tussauds Museum, you can see the replicas of the diamond Edelweiss hairpins with pearls in the middle, which I am very glad about since these were the ones that appear in Elisabeth’s head in the famous Winterhalter-painting of 1865. However, several replicas show another set without pearls stating that these are the ones in the Empress’ hair in the picture. Why both kinds of pieces of jewellery are authentic? As mentioned above, the hairpins of the wax figure are the replicas of the ones of the painting, and not the ones which are usually sold as diamond jewels of the Empress (often with an image of the painting). The Sisi Museum at Hofburg tries to buy as many objects related to Elisabeth as possible. 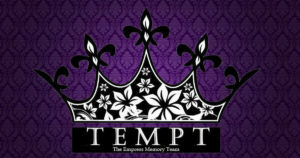 They have already had more than 300 things that were in the Empress’ personal use. In this museum, both kinds of hairpins can be seen. Elisabeth had two different sets made by two court jewellers: 27 hairpins each with pearls diamond around, and another set without pearls, only with diamonds. The Sisi Museum exhibits one original piece of the hairpins with pearls as well as some of the reproduction without pearls – the latter ones were made by Swarovski. Usually, the reproduction of Swarovski is sold several places related to Elisabeth but these pieces of jewellery are made without pearls in the middle. Conclusively, both hairpins, without pearls and with pearls, are authentic and the replicas of Elisabeth’s two sets of hairpins. However, the ones appear in the painting are provided with pearls. The replicas of them appear in the wax figure’s hair. Elisabeth was not fond of jewellery, she mainly wore them on occasions she had to represent, however, she liked pearls. She usually wore a very few pieces of jewellery (such as a silver pocket watch) and she wore her engagement ring on a chain in her neck and not on her finger. Finally, the dress: The bodice of the Tussauds-dress is a bit different from the one in the Winterhalter-painting, however, I think it is also quite authentic regarding Sisi’s time. The gown Sisi is wearing in the painting, the so-called “star-dress” is the one on which the outfit of the wax figure was based. Elisabeth wore the original dress at a ball in Dresden. She loved it so much that – although it was a bit against the etiquette, still allowed – she wore it on two or three other smaller family occasions afterwards. Mónika Czédly, the Hungarian fashion designer and dressmaker has already made fourteen authentic replicas of Sisi’s dresses including the “star dress”. Mónika said when Elisabeth wore this “star-dress” at a ball, the golden stars on the dress were glittering in the ballroom lit by hundreds of candles and one could not stand looking anything else but the thin and tall figure of the dancing Empress! Elisabeth was regarded to be quite tall (172 cm) in her time, which altogether with her slim body (including her thin waist), thick and long hair, and the “floating walk” (her father had all of her children educated how to walk while hardly touching the floor with their feet) made her extraordinarily beautiful. Sisi’s wax figure at Madame Tussauds Museum recalls the Empress’ exceptional appearance, her beauty and charm. Congratulation on it to the Viennese Madame Tussauds Museum. After admiring Elisabeth’s wax figure, we continued our journey deep into the Empress’ world. The exhibition in the next room is called “Sisi Uncovered Experience”. Here we also meet the wax figure of Emperor Franz Joseph surrounded by his beloved Sisi’s pictures. The Museum states that Elisabeth was the most fascinating woman of her time. The installation at the entrance – chairs, mirrors and empty bird cages symbolise the struggle she faced in her life as an Empress and public figure. One can see several suitcases on display, which symbolises her travels. From the autumn of 1860, Sisi started travelling a lot. Her desire to be on the way became even stronger after the death of her only son, Crown Prince Rudolf and the wedding of her youngest daughter, Marie Valerie, whose diary I mentioned above. The Madame Tussauds Museum uses high tech visual technology. Dancing cakes and golden Walz steps will take you back to Elisabeth's times, and another wax figure of Sisi talks to you surrounded by around a hundred lifelike cakes, which were handmade by a Welsh artist during a period of four months. Some of them will ask you questions! As a researcher of Elisabeth, I can say that the Tussauds made everything to entertain the visitors and get an authentic insight into the era of Elisabeth and Franz Joseph. They made a lot of research before starting working on the exhibition. Their effort is visible. The aim of Madame Tussauds Museum is mostly entertaining, which you could enjoy when you visit this fantastic place in Vienna! You can try out everything, such as smelling street smells of the time and wearing a corset. I will not reveal every fun because I would like you to be surprised too during your visit. Information on the video below: My video taken at Madame Tussauds (in Hungarian). You may see the wax figure of Sisi and the exhibition (from ... minutes to ... minutes): 4:10-5:29; Video (of the wax figure and the exhibition) with music - 11:17-12:54; 19:17-20:22; 24-28. I higly recommend buying the book Sisi ​– Myth and Truth by Katrin Unterreiner that I show (5:48-11:00) in the video relating to the jewellery. You can buy the book in Sisi Shop, Hofburg. Acknowledgement: A huge thanks to Lukas Rauscher for the invitation and being our guide through this great exhibition. It was a memorable experience. A képeket Káli-Rozmis Barbara készítette. 20 May 1865 issue of the French Magazine, "Le Modes Parisiennes"